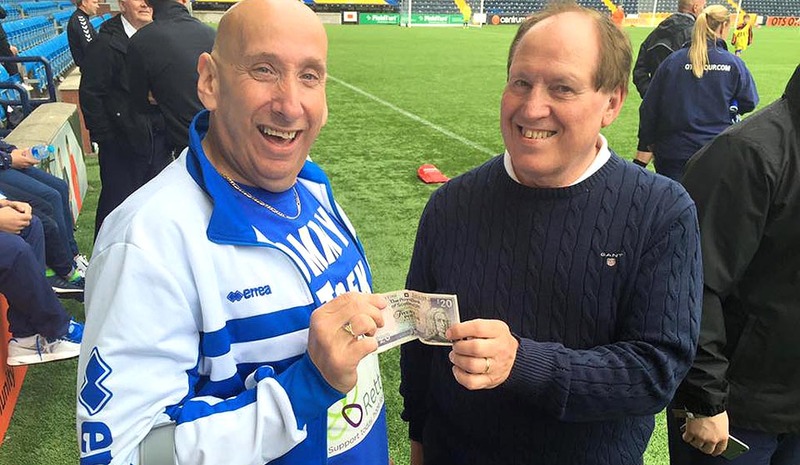 "I have been a Killie fan all my life, although I lived in Ayr until 2007. I went to Forehill Primary School & Belmont Academy and in those days it felt like I was the only Killie fan in Ayr along with my mum and dad. My dad was a Killie fan all his life and this brushed off on my mum who was born in Tarbolton and my mum became a killie die-hard as well...so yes it was in the family. I have been a DJ working in Ayr since I left school. Approximately ten years ago I started working with Kilmarnock Football Club with Anne Clark and we had a wonderful partnership doing the commercial side of this great old football club. Through the ups and downs we plugged away and with some tremendous backing from businesses etc. we kept coming up trumphs. In that time I have had one break away from the football club from September 2014 until April 2015 when new Killie Director John Kiltie came on board and asked me if I would come back to the club. In the time I was away I did some work for Hamilton Accies, a very well run club with wonderful people, and I also do one day each week for Whitletts Victoria a Junior club in Ayr who approached me to become their commercial manager and I find that very enjoyable as you get to see the other side of the game. I also get a buzz from being able to bring people like QTS, Arena Office Ltd & Subway to beome sponsors in the junior game. I do advertising for various other junior clubs as well so yes, you could say I am busy 24/7...that's the way [uh-huh, uh-huh] I like it! 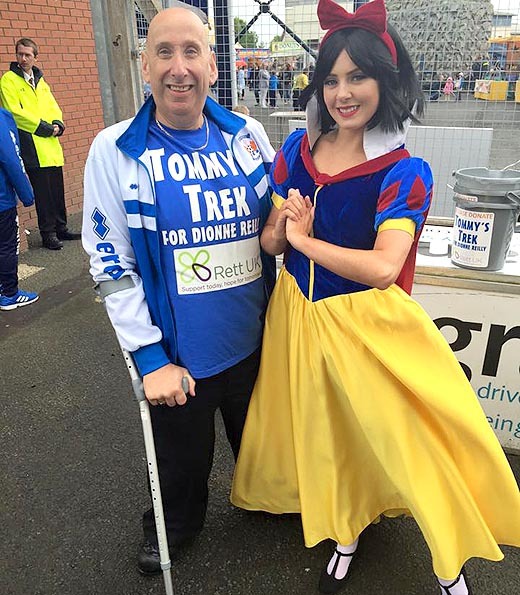 I have been a member of the Killie Trust since day one and while I was away from Killie the Trust approached me about joining their board of directors. I was more than happy to do so and hopefully be in a position to bring the club and the Trust together as one...I'm pleased to say it is looking good. A few years ago I used to take the Trust collection cans out all over East Ayrshire and make sure the money was coming in but my situation changed when my mum took ill and I had to step back from those duties but I'm pleased to say my good friend Sandy (Hippo) Armour took up that role and kept the money coming in. 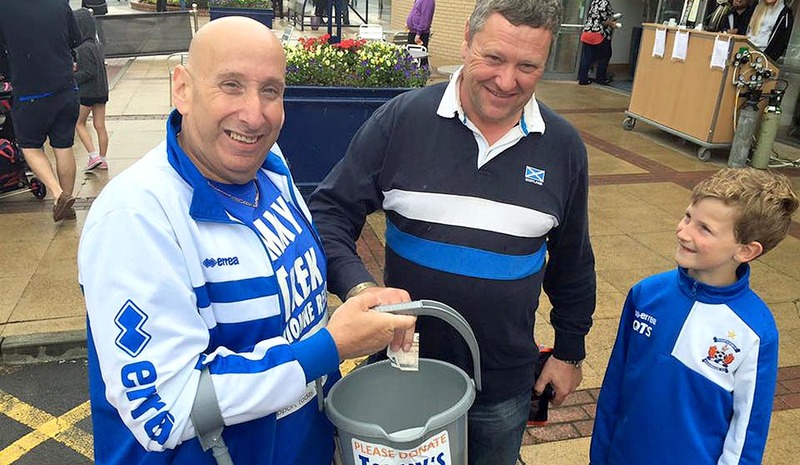 Now new Killie Trust Chairman Jim Thomson and former Trust Director Davie Davidson have assumed the mantle and are doing a sterling job...so if you see a Killie Trust collection can when you're out and about please put some loose change in it...it could make all the difference. The new initiative TRUST IN KILLIE is something we all have to get behind and ensure the future of Scotland's oldest professional football club...THE FAMOUS KILMARNOCK FC."